Ready to pay your taxes this year? 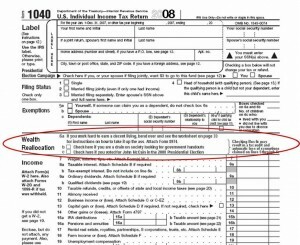 Don’t worry; the 1040 tax form is similar to last year’s form. There is only one new addition. But, it is suggested you read it carefully. It is kind of a joke . . .
. . . and kind of not!